This post is by Trevor Young, a keynote marketing speaker, strategist and adviser who helps companies and individuals harness the power of owned, earned and social media to build public recognition for their business or personal brand. Disrupted is one man’s account of working at HubSpot, a fast-growing start-up enterprise based out of Cambridge, Massachusetts, and a brand well-known in global marketing circles. HubSpot is a marketing software company; its founders, Dharmesh Shah and Brian Halligan, coined the phrase ‘inbound marketing’, and in a genius move to ‘own’ the phrase in the marketplace, they also wrote a book of the same name. 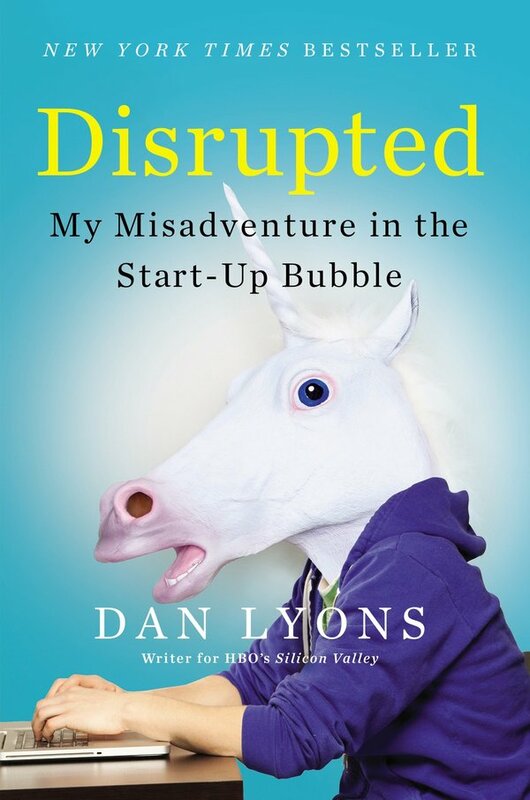 The author of Disrupted is Dan Lyons. According to his bio on the book’s dust jacket, Lyons is a novelist, journalist and screenwriter. He is currently a writer for the HBO series Silicon Valley. Previously, Lyons was technology editor at Newsweek and the creator of the groundbreaking blog The Secret Diary of Steve Jobs. Lyons has written for New York Times Magazine, GQ, Vanity Fair, and Wired. It would be fair to say Dan Lyons is no mug; he most certainly is a fine writer with an incisive eye for detail coupled with a sardonic, world-weary view of the technology business (others might say he’s simply downright cynical). 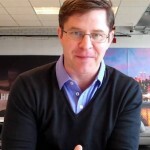 Has Hubspot’s reputation been tarnished? Reading this book was a bittersweet experience as Lyons cuts into the underbelly of the HubSpot business with precision and wit. I’ve admired HubSpot for its pioneering work in the content marketing arena; indeed, they have relentlessly published valuable content for many years that has helped hundreds of thousands of business owners and marketers in the course of their work, including me. I have read the founders’ Inbound Marketing book, subscribed to their blog and downloaded many of the company’s ebooks; I often reference HubSpot in my talks and presentations on social media and content marketing. But there’s no doubt HubSpot’s corporate veneer has been scratched, if only a little, by the publication of Disrupted. No long-lasting damage I wouldn’t have thought, but there’s been sufficient publicity to have brought irritation to those working within the HubSpot walls. It would be somewhat easy to conclude Lyons has ‘done a number’ on HubSpot and therefore simply dismiss his book as the work of a cynical man who, feeling hard done by as a result of his time working at HubSpot, has used Disrupted as a means of getting his own back on the company. But that would be a tad churlish because Lyons is a highly talented and respected writer, and a recurring theme of the book is not necessarily about HubSpot per se but centres on one man’s struggle with being in his 50s, unemployed, and struggling to come to grips with a digital-first world that has turned his industry (traditional print media) – and therefore his professional world – upside down. Yes, Disrupted is a no-holds-barred personal view of HubSpot from someone who was embedded in the day-to-day operations of the business, but Lyons also uses the company as a prism through which to report on an industry – the tech startup world and the venture capitalists who inhabit it – he feels is out of control. “Before this (tech bubble) is over there’s going to be a trillion-dollar transfer of wealth in Silicon Valley”. Disrupted is a rollicking business yarn, and the ‘rollicking’ part of it certainly does centre on Lyons’s experience working at HubSpot. And for the most part, it does not appear to be a happy or enjoyable one for either party. It makes for fun reading, but let’s face it, these types of social activities were de rigueur in advertising agency land in the 1980s and ‘90s, so no big deal there. Ultimately though, Disrupted is about a clash of generations and cultures. Lyons, the fifty-something hard-boiled traditional journalist with cynicism coursing through his veins, trying to fit in at a vibrant tech startup with IPO aspirations, a company over-populated with upbeat young people that carefully manufactures a culture of fun (“The Happy!! Awesome!! Start-Up Cult”) but in reality is a hard-charging, hyper-competitive environment where hitting your numbers (whatever numbers they might be – this is a data-driven organisation after all) is the key priority. Yes, Lyons takes obvious delight in skewering HubSpot’s cultural quirks – part of this can be put down to personality and perhaps a desire to work in an environment that’s more buttoned-down but still raucous in its own way (i.e. a newsroom) – but it’s his shattering of several HubSpot ‘myths’ that gives this book somewhat of an edge. Perhaps the biggest one for me is the fact HubSpot operates what Lyons refers to as a ‘boiler room’. HubSpot’s whole business is built around ‘inbound marketing’ – using their proprietary marketing software to attract potential sales leads via the content you produce and then email strategically to build a relationship with people, all the while building up to the sale. But here they are, as Lyons writes, “operating an old-fashioned call centre, with a bunch of low-paid kids calling thousands of people, day after day”. Then comes the sting in the tail. Lyons and HubSpot finally part ways but this story still has a way to go, so much so Lyons needed to include an epilogue in his book to square things away. 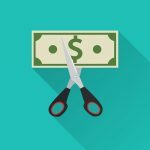 It involved allegations that two of HubSpot’s most senior marketing executives tried to get their hands on a draft copy of the book before it was published. The pair had been investigated by Federal authorities, but all charges were dropped. HubSpot’s CEO Brian Halligan had his pay packet reduced for failing to promptly alert the company’s board after finding out about the incident. At the end of the day, in hindsight, the marriage between HubSpot and Dan Lyons was never going to work. There was pain on both sides, and Disrupted is the result. P.S. Once Disrupted was released, Halligan and Shah took to LinkedIn’s blogging platform to put their side of the story. You can read it here. TREVOR YOUNG is a keynote marketing speaker, strategist and adviser who helps companies and individuals harness the power of owned, earned and social media to build public recognition for their business or personal brand. He blogs at PR Warrior, hosts the podcast Reputation Revolution, and is author of the book microDOMINATION. In 2015, Brand Quarterly included Trevor on its global ‘50 Marketing Thought Leaders Over 50’ list. Follow Trevor on Twitter @trevoryoung, or visit his website.